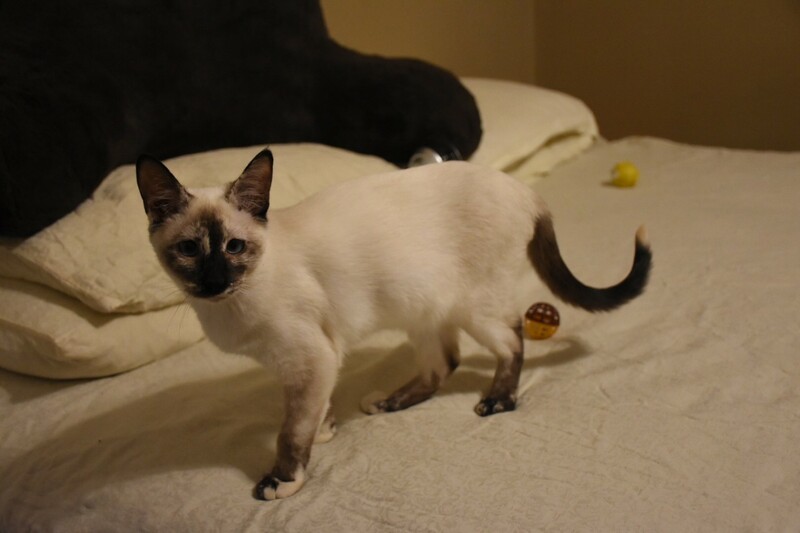 Cait is a five month old TORTI POINT SIAMESE KITTEN. She is spayed and has her claws. 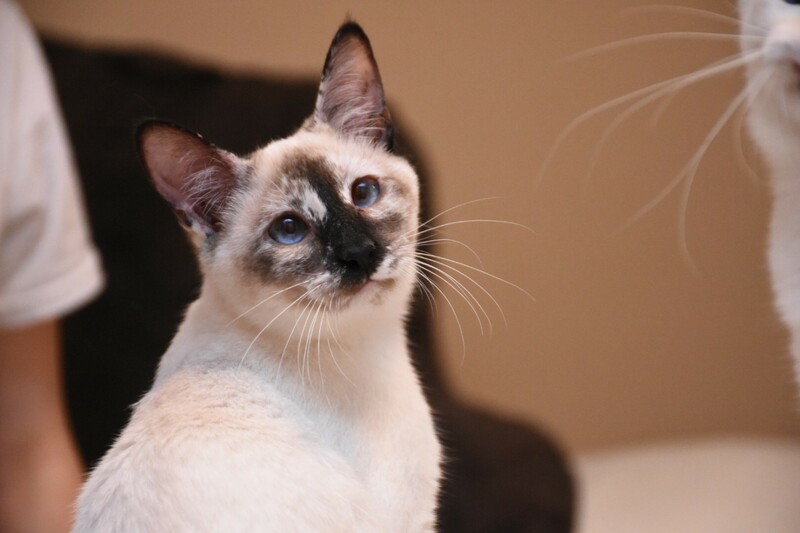 Cait and her siblings came from a breeder who became physically unable to care for her cats. 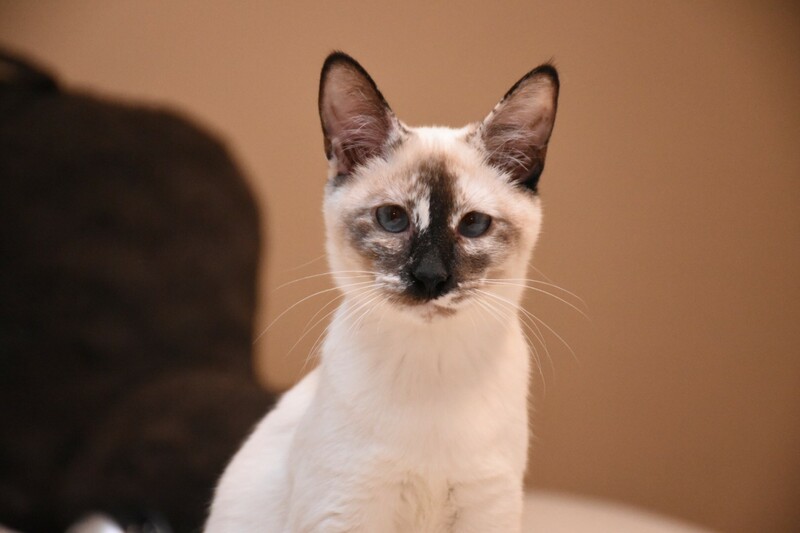 Cait is engaging and loves to participate in chores, such as cleaning the litter box. 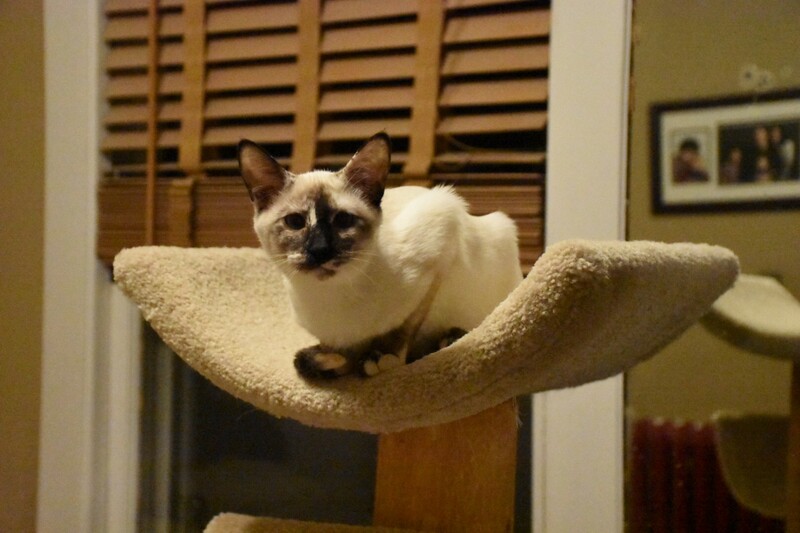 She also loves to be picked up and cuddled and is very good with kids. 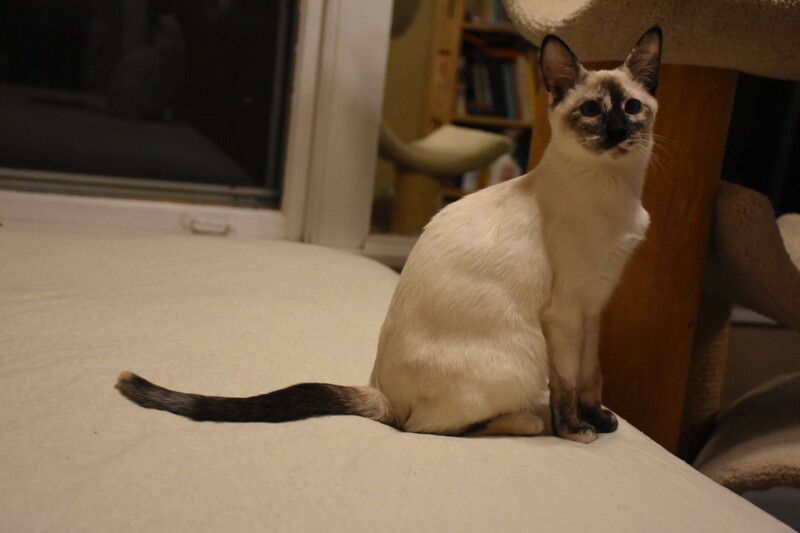 She is energetic, romping vigorously with her brothers, and can make great leaps into the air when she chases after toys. Cait would be fine with a calm, cat-friendly dog. She needs to go home with one of her siblings or to a home that has another kitten or young adult cat. ADOPTION FEE $450. FOSTERED IN OAK PARK, IL.